Large Up…. 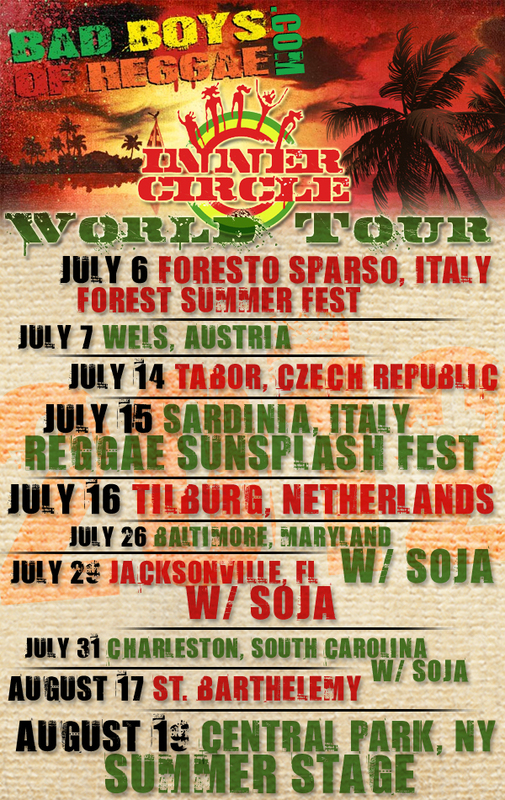 Inner Circle is back with new music and new tour dates for the Summer of 2012! Last month Inner Circle shot the video for the first single “This Is Reggae Music” off of The Reggae Wave project featuring The Reggae Wave bands, check out the video below. The momentum of Inner Circle’s reggae remix of “Young, Wild & Free” is picking up and now has over 300,000+ views. An alternate version featuring Peter Morgan has been recorded and is in heavy rotation in Hawaii on Island 98.5 (Shout out to da sista Melody). Make sure you mark your calendars with our show dates below, Inner Circle will be in an area near you!